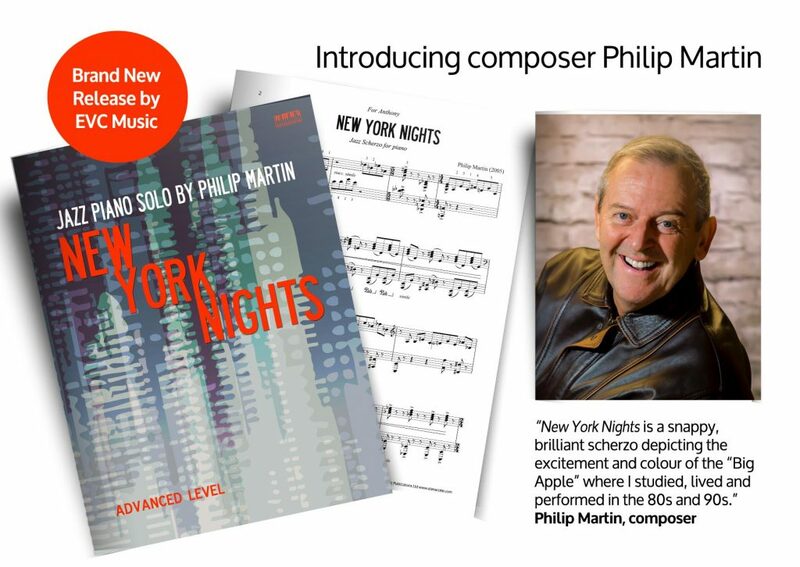 Philip Martin, a prolific contemporary composer has joined the EVC Music and New York Nights Jazz scherzo for piano for advanced level players (Gr 7-8 ABRSM) is the first release available on our website as a digital download. Tap to preview >. Educational piano pieces from Philip Martin are very popular with teachers and students and some might remember his The Rainbow Comes and Goes from the ABRSM’s Piano Syllabus for Grade 8. Philip Martin combines a busy solo performing career with that of a composer and teacher. It is these three elements of his musical personality that make him such a force in musical life today. Philip is a member of Aosddna, Ireland’s state-sponsored academy of creative artists. In 1989 Yehudi Menuhin presented him with an honorary Fellowship of the Royal Academy of Music in London. Born in Dublin, he studied with Mabel Swainson before winning an Associated Board scholarship to the Royal Academy of Music in London. Here he continued with the pianist and composer Franz Reizenstein, himself a pupil of Solomon, Hindemith and Vaughan Williams. He made his London debut in the Wigmore Hall and this led to frequent appearances on the South Bank and throughout Britain with all the BBC orchestras, the London Symphony, London Sinfonietta, the Royal Philharmonic, the Hallé, the Bournemouth Symphony, the City of Birmingham and he Royal Liverpool Philharmonic. He has played his extensive repertoire of over 60 concertos in such diverse countries as France, Italy, the Netherlands, Scandinavia, the USA and Canada, Saudi Arabia, Cairo and Mexico, where he is a regular and very popular visitor. He has also proudly retained his relationship with Ireland where he returns each season. For his first concerto appearance in Dublin, he played the George Gershwin concerto in F and this set the seal on his passion and interest in American music. He then gave the Irish premiére of Samuel Barber’s piano concerto for which he has a particular affection. Many performances of this work followed. Besides the many RTE National Symphony broadcasts, he has also performed this work with three separate BBC orchestras as well as an EBU broadcast from Ankara in Turkey and the first performance of the work in Paris. His BBC, RTE and foreign broadcasts are many and he has also been a frequent visitor to the BBC Promenade concerts, where he toured with the National Youth Orchestra of Great Britain, playing in the Concertgebouw in Amsterdam and Tivoli Gardens in Denmark before his appearance in the Royal Albert Hall. He followed this two years later with a televised performance of Rachmaninoff’s Paganini Rhapsody which was televised on Omnibus at the Proms. Philip spent a year in the United States on a UK-US Bi-Centennial arts fellowship which allowed him to play, research, and meet American composers. By donating his professional services, Philip supports numerous charities and every year raises generous amounts for their benefit. 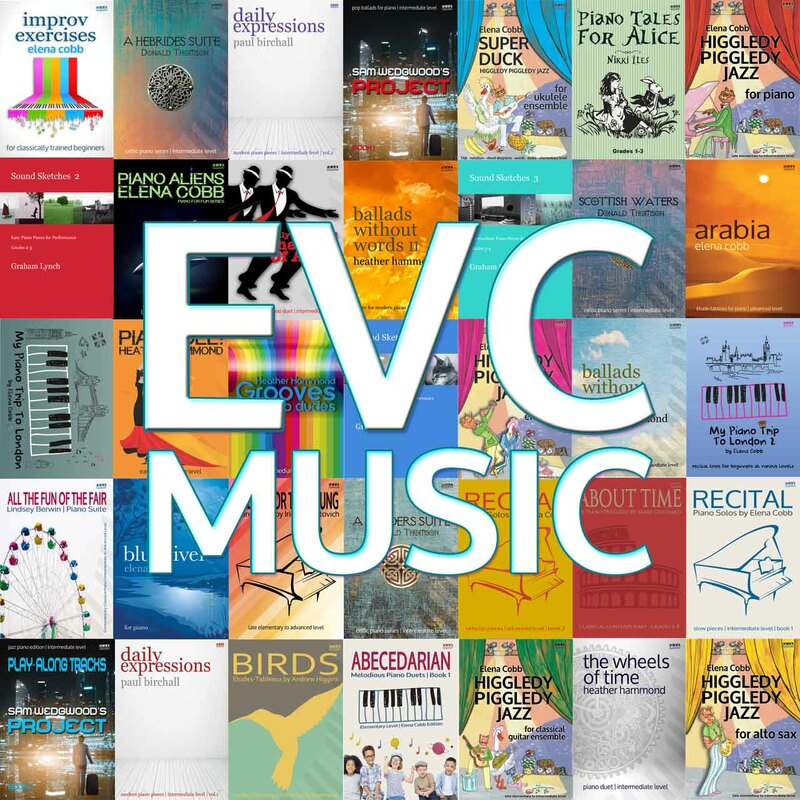 This entry was posted in EVC Music News. Bookmark the permalink.